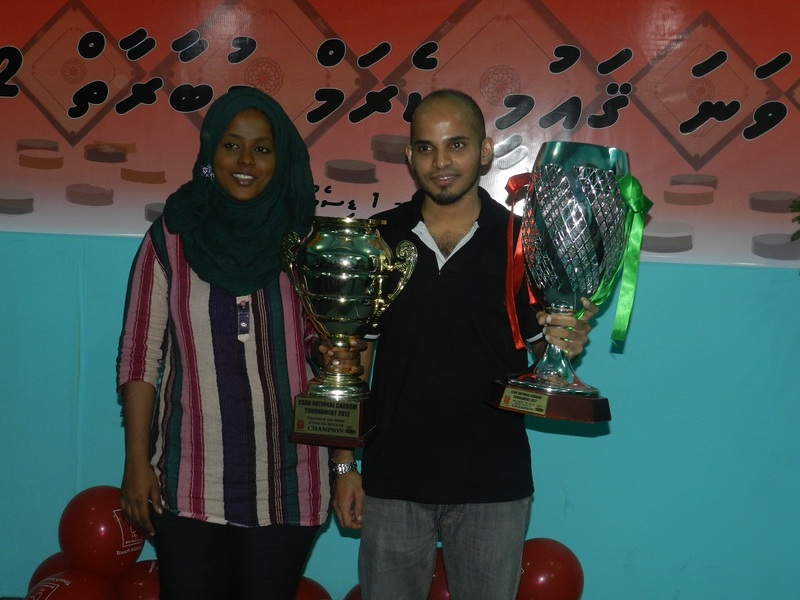 Male’: Hassan Nizam and Aminath Nifasha successfully secured the Men’s and Women’s National Champion Title during 23rd Maldives National Carrom Tournament that has come to an end in Male’, Maldives on 1st December 2012. Hassan Nizam has secured this title for the 4th time, he won the title in 2006 and three consecutive years (2010-2012) after that. During other events, Shafee Mohamed and Ahmed Hamid secured the Premier Division Men’s Doubles Champion Title, Aishath Fainaz and Afeefunisa secured Premier Division Men’s Doubles Champion Title and the Premier Division Team Event Champion Title was secured by Dhivehi Sifainge Club. On the other hand, the winning duo Hassan Nazim and Aishath Fainaz also secured the National Mixed Doubles Champions title.During the Second Division Event, Mohamed Mahudhee and Ahmed Tholaal won the Second Division Men’s Doubles Champion Title whereas, Ali Rameez secured the Second Division Men’s Singles Champion Title. 23rd National Carrom Tournament began on the eve of Sunday, 25th November 2012. A total of 198 participants and 15 clubs are competed in the tournament. A total of 11 Slams were played during the tournament where as Mariyam Nadha Ibrahim was awarded the Most Promising Women Player, Sadhooh Samiu was awarded the Most Promising Men’s Player and Aishath Fainaz was awarded the Player of the Tournament. The credit of this successful tournament goes to the hard work of President Maldives Carrom Association Ahmed Mubeen and Secretary General Maldives Carrom Association Mohammed Saeed. 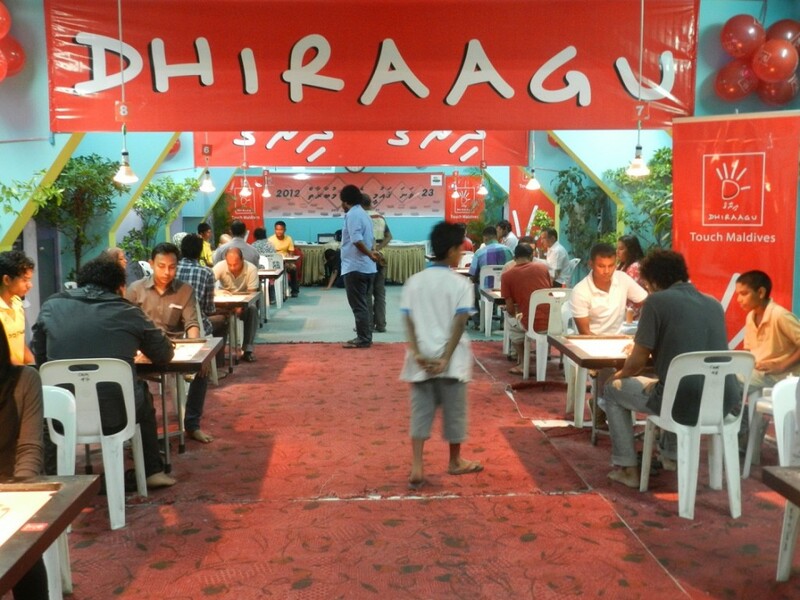 The tournament was held at Carrom hall, Male’ from 25th November to 1st December 2012.